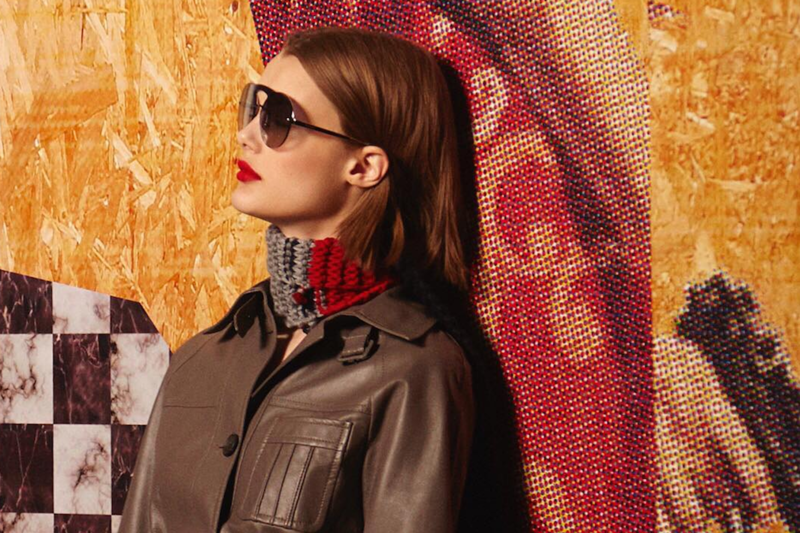 Prada has been known for years as being a brand which epitomises style, quality, and luxury. 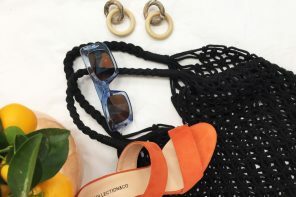 Their eyewear is certainly all of these things, and is the perfect option to go for if you are looking for a new pair of specs or sunglasses. There are several new pieces which are just in for Autumn/Winter 2017 and we are in love with them. Take a look below to find out what they are. These gorgeous round specs would be the perfect statement piece to wear to the office or just as part of your everyday look. 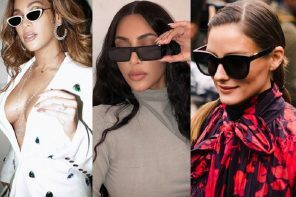 Round frames are so on-trend this year, and will prove even more popular for Autumn/Winter 2017. 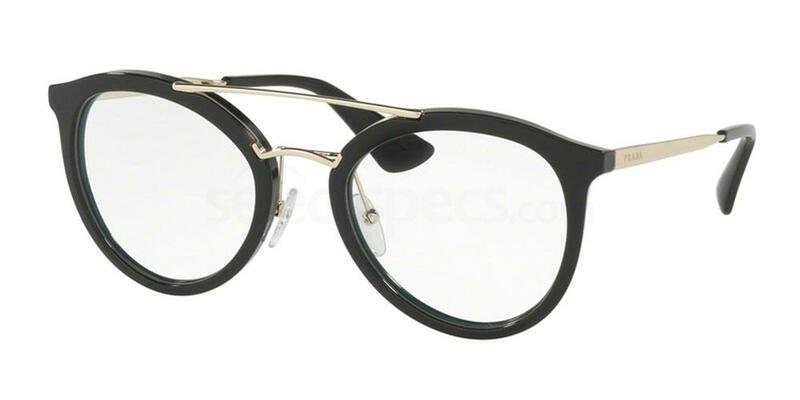 We love the black frames and the gold detailing on the temples and the nose bridge. The oversized top bar lends this pair a retro feel and adds some extra interest. This pair is also available in four other stunning colours – check them out! Evelyn looks fab below in this exact same pair. We love how she has paired them with a white lace blouse. Another pair of gorgeous fashionable statement glasses here. How beautiful and unusual is the transparent azure blue frame teamed with the navy blue accent along the top of the frames? 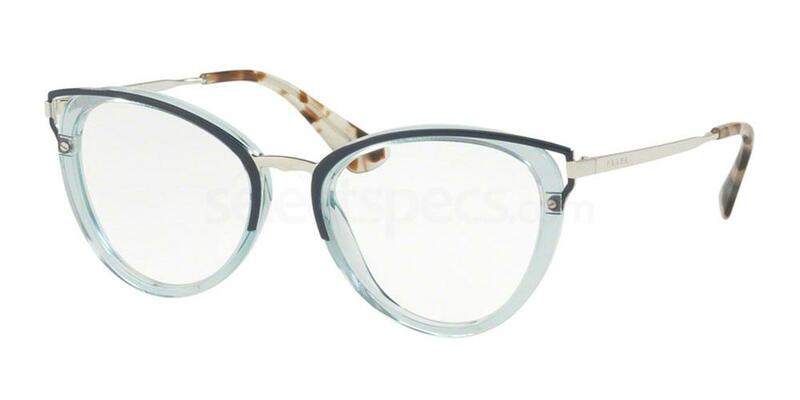 The frames are teamed with a silver nose bridge and temples which gives these a luxury feel. We also love the tortoiseshell patterning at the end of the temples. The super feminine cat-eye shape is so glamorous and stylish too. Cat-eye specs look particularly flattering on those with heart-shaped faces, but will definitely suit a wide range of people. Take a look at the Instagrammer below looking gorgeous in her pair. Have a look at the three other colours this style is available in. For sunglasses with a little difference, why not consider buying a pair of square-shaped frames such as these? Square frames make a big statement and will be the focal point of your look. These would look amazing teamed with some jeans, a thick chunky jumper, and some heeled leather boots for a chic and stylish Autumn outfit. 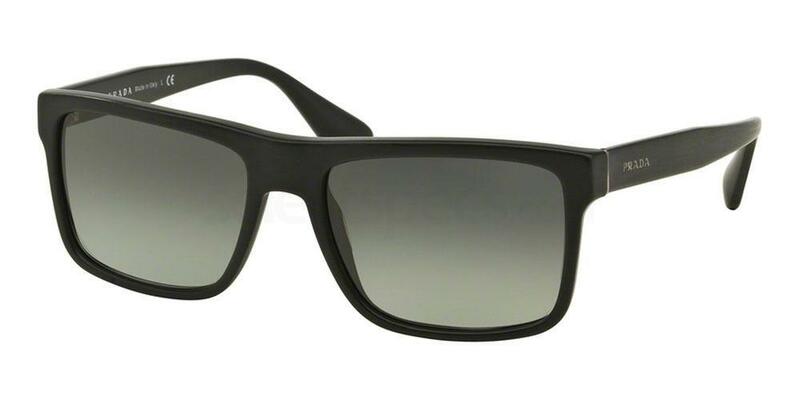 The grey tinted lenses will provide you with protection against 100% of UV rays. 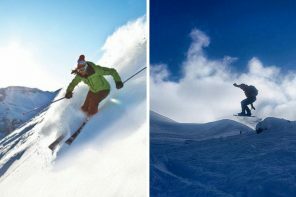 Check out the other two colours in this range! The model below looks fab wearing her pair. 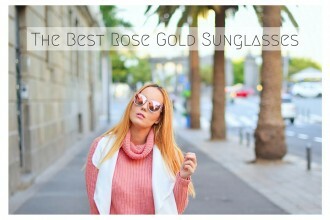 These will quickly become your go-to pair of sunnies for the Autumn and Winter months. 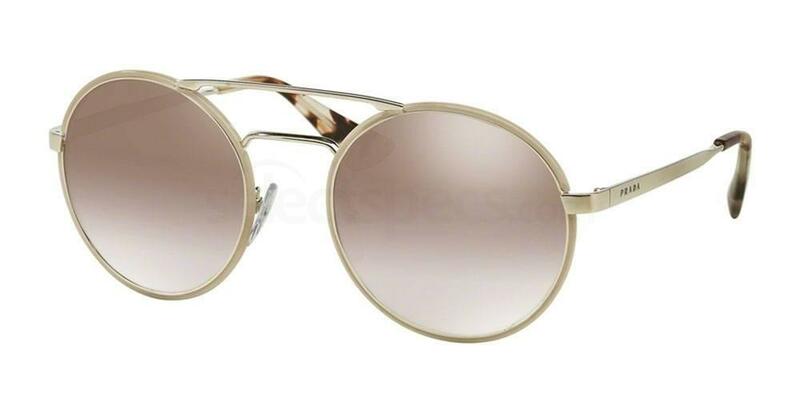 We really like the round lenses and the thin metal frame design. The lenses are mirrored and polarized, thus protecting your eyes against damaging levels of glare. This style is available in a huge array of different colours. Check out the Instagrammer below looking fab in her pair!